Aaaaaaaah! This is the sound of my EXCITED KAKAK SQUEE! My adik’s poetry book is available at Wardah Books! Buy buy buy! Taskeen, Husna (in utero) and I were lucky enough to make it to Aisyah’s chapbook reading in October last year. It was such a gorgeous, unifying event. It was wonderful to witness people from all walks of life come together for the sake of poetry. This is the beauty of art, and how it transcends so much. Aisyah’s reading was so well-received, and I marvelled at how she had her first chapbook published in her early twenties. May this be the first of many more! She very sweetly named (ha!) me as her nominated poetry reader, and I was so thrilled to be able to read some of my own work. I have a video of my reading, somewhere, and hope to upload it soon-ish. Here’s to my poetry being birthed one day soon and finding its way next to Aisyah’s at our favourite bookstore ever. Once I re-read The Naming, I can post a proper review ❤ I remember loving how experimental, brave and lyrical it is. And I have a signed copy muahaha. For those of you who’d like to purchase my book, drop by All Things Islam, 17 Cross Street, Bankstown. 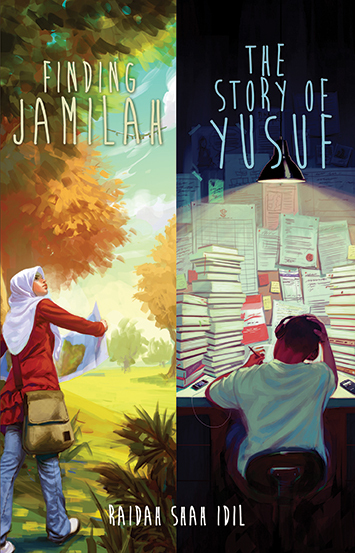 By early next week, my book will be available for purchase in Singapore at Wardah Books, 58 Bussorah St, Singapore.